Water slides are the ultimate in backyard pool fun and are a guaranteed hit with families. Unfortunately, what some pool owners often envision is that old white plastic slide that many of us had in our pools 20 to 30 years ago. Slides have come a long way since then, and now you can find pool slides attractively incorporated into a number of pool designs. 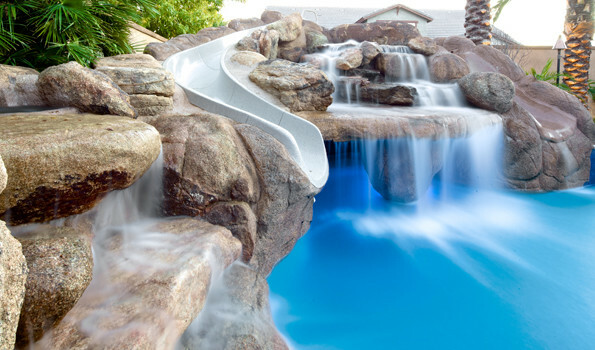 Custom water slides are starting to become more common as pool owners want to recreate a true waterpark experience in their own backyards. The idea of enhancing your outdoor environment with lighting is very popular, especially as we look for more ways to extend the amount of time we spend outside. Lighting can be one of the most important aspects of landscape and hardscape design, yet it is often overlooked or underdone. 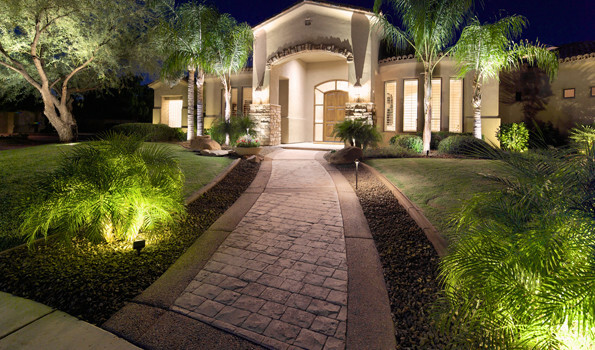 Proper outdoor lighting design allows you to highlight focal points. It can also be used to enhance safety and security, to accent special trees or plantings, and to create a festive atmosphere for outdoor entertaining. Rather than buying a costly designer patio set or lounge chairs that will lose their luster by next season, invest in a new lighting scheme that will enhance your existing outdoor furniture and amenities.